Astrological Blue Sapphires | Unheated, Jyotish Blue Sapphires for Vedic astrology. 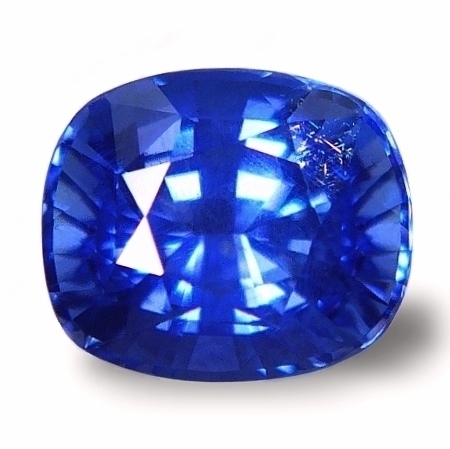 Blue sapphire belongs to the Corundum family. Its blue color is produced by the elements Iron and Titanium. 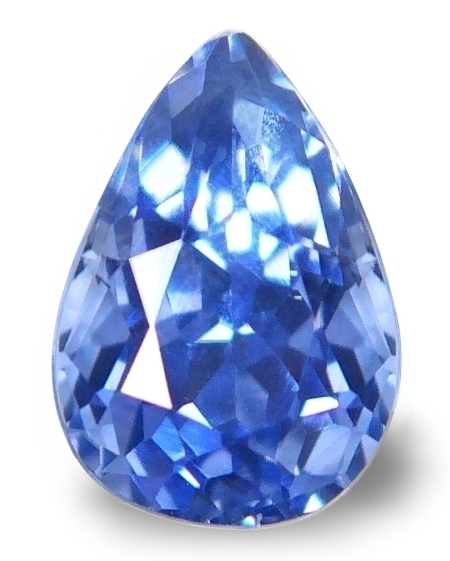 The highest the percentage of Iron in the crystal, the deeper the blue color. Astrologically, it is the primary gem of Saturn or Shani. 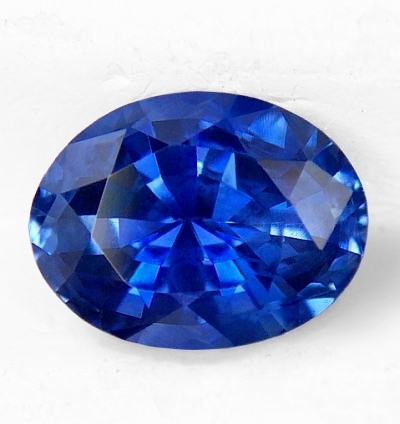 On a physical plane, a blue sapphire can treat paralysis, rheumatisms, tuberculosis, depression and mental disturbances, and all wasting diseases. Important: The following pictures are highly magnified (30X to 50X) and do not show the gems' real size. Color and brilliance can greatly vary from computer to computer, depending on your monitor's settings and make. Color will also naturally vary, from sunlight to indoor, incandescent light. Dark and lighter areas are effects from the digital camera. See description for accuracy on clarity grade, color and exact dimensions in mm. Amiable shape, definitely rare, unheated, Montana blue sapphire. A give away. 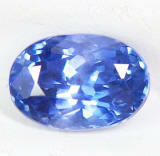 And here is a rare sapphire by today's market standard, if not because of its domestic location. A completely natural, no heat, Montana sapphire from the gem bars in the Missouri river, northeast of Helena, Montana. The alluvial, sapphire deposits in Montana yield a cornucopia of colors such as greens, yellows, yellow-greens bi-colors, teals, and the occasional blues. Mostly need heat treatment. 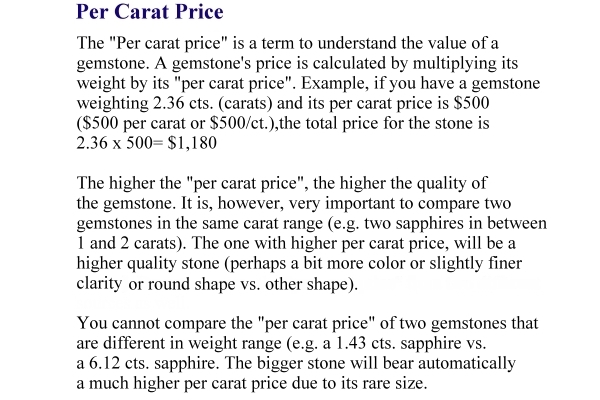 Sizes are relatively small, with cut stone over 1 ct. rare. This one definitely a must have for any serious collector. Real nice sapphire. 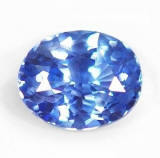 Sensuous, good color, well cut & clean, 3rd party certified unheated, Ceylon blue sapphire. Purity of forms, richness of color, and crystal cleanness are the main features of this unheated, Ceylon blue sapphire, which was mined in the Kuruvita gem fields, cut and polished in Ratnapura, Sri Lanka. 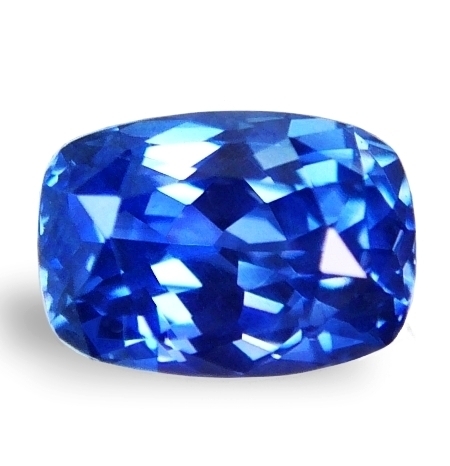 A most beautiful sapphire that spells perfection from every facet. Offered at a great price, this will mount well in any setting you will choose. Certified unheated by the CSL (Colored Stone Laboratory, Ratnapura, Sri Lanka). Finest, vivid, cornflower blue color, well cut & clean, unheated, Ceylon blue sapphire. Beautiful one. Such a vibrant , finest "cornflower" color in this unheated, Ceylon blue sapphire, that was mined in the Pelmadulla area, but cut & polished in Ratnapura, Sri Lanka. In addition, the most sought after blue color in sapphire, enchanting, rutile silk under magnification can be seen, awesome signature of nature, the gemological telltale of complete naturalness in a sapphire. Good ring size, great great price, super beautiful & a very auspicious blue sapphire to propitiate Saturn. 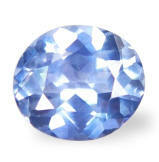 Amiable, very well cut & clean, unheated, Ceylon "cornflower" blue sapphire. This is a bad pic of a very beautiful no heat, Ceylon blue sapphire from the gem fields of Nivitigala, Sri Lanka. There are some gemstones that despite being beautiful with good cut & fine clarity, are just plain difficult to render in picture. Sometimes it is the slightly deep cut or slightly elongated shape....the reason is still obscure to us. But take our word for it. Do not hesitate on this blue. Completely natural, no heat, well cut and...sensuous. Real nice & well priced. 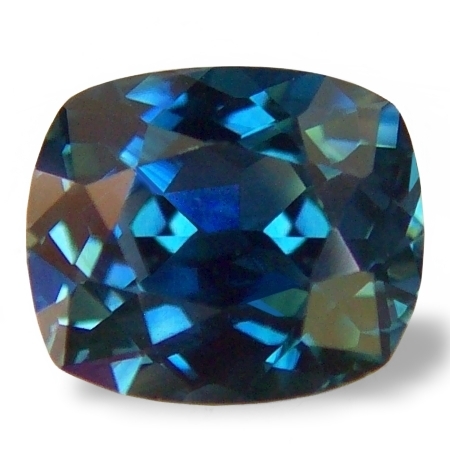 Alluring, beautiful deep peacock color, perfectly cut, unheated, Madagascan teal sapphire. What a beautiful, deep peacock blue color. This unheated, deep teal colored sapphire was mined in Madagascar, from an unknown location, cut and polished in Ratnapura, Sri Lanka. Perfect antique cushion shape, clean as it gets, beautiful flashes of mix blue and green, it is a great, completely natural sapphire for somebody who likes the unusual color, decent size and exotic feel. Great price too. You cannot go wrong with this one. 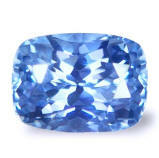 Very amiable, serene looking, unheated, Ceylon blue sapphire. Bargain price. Very lovely one, this sapphire was mined in Kuruvita, cut and polished in Ratnapura, Sri Lanka. Another one with a well cut large face, exotic look, 100% unheated and untreated as mother nature meant it to be. Excellent, true wholesale value and sure to mount real nice. Great price for this unheated quality. Peacefully imposing, very auspicious, certified unheated, Ceylon, rich blue sapphire. Enchanting. 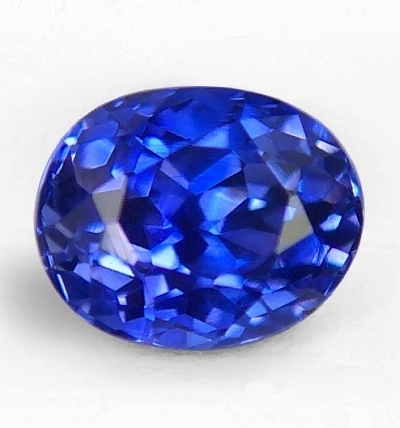 This adorable, 3rd party, certified unheated, Ceylon blue sapphire hails from the gem fields of Ratnapura, Sri Lanka. What a beautiful, perfect and pure "cornflower" blue color, slightly velvety and dreamy, and clean, and yes, priced very well. Had it certified by SGL (SanGems Laboratories, Colombo, Sri Lanka) and comes with a mini-certificate stating "no indications of heating" detected. Real, real nice. Absolutely lovely, perfectly cut, flawless in clarity, unheated, Ceylon blue sapphire. Sweet. This unheated, Ceylon blue simply exudes perfection. It hails from the gem fields of Pelmadulla, Sri Lanka. If you are looking for perfection in cutting proportions, rare flawless clarity, and an overall, super sweet feel, and yes, a medium, brightest pure color, then you have to consider and get this one. And what a low price. Does not make sense getting stones of inferior quality, and over paying them, even at overseas venues. Elegant and peaceful, unheated, Ceylon blue sapphire. Gorgeous. An enchanting, unheated, Ceylon blue sapphire from the gems fields of Nivitigala, cut & polished in Ratnapura, Sri Lanka. "Why are your prices so low for this fine quality?". This is the question very often asked. The answer is simple. We purchase directly at the mine and rough markets in Sri Lanka, we keep our overheads and operations as simple as possible, and price our gemstones at dealer's value, therefore being able to offer, fine untreated sapphires at the lowest and affordable pricing. 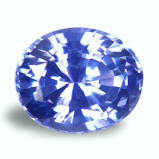 Exotic with beautiful color, well cut & clean, unheated, Ceylon blue sapphire. Getting rare this material. 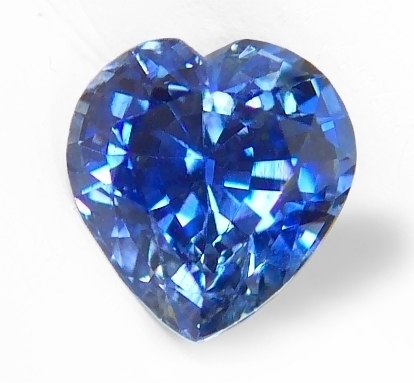 Absolutely lovely, perfect cut & finest luster, unheated, Ceylon, blue sapphire. 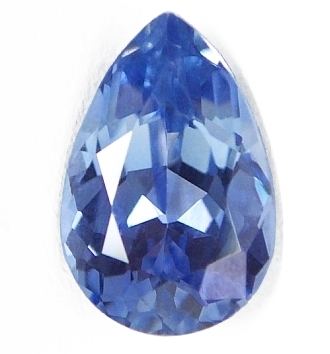 What a beautiful drop shape sapphire. This unheated blue was mined in the gem fields of Kuruvita, cut & polished in Ratnapura, Sri Lanka. Usually drop (or pear cut) does not display the best of luster due to the asymmetrical shape. This one is an exception, and the stone is inundated with perfect scintillation in a very sweet cornflower color. As clean as it gets as well, make this Ceylon sapphire the perfect candidate to propitiate Saturn in a fantastic jewel. Perfection, flawless with perfect cut, unheated, Ceylon, violetish-blue sapphire. Beautiful one. 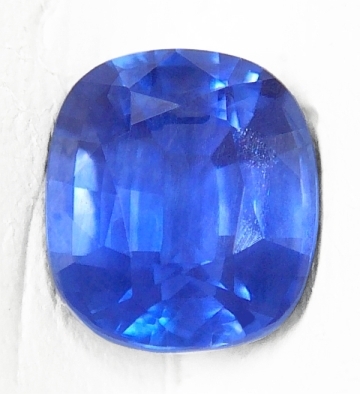 A most perfect, unheated, Ceylon violetish-blue sapphire that has some color shift in incandescent light, this was mined in Balangoda, cut and polished in Ratnapura, Sri Lanka. Finest flawless clarity, and perfection in cutting, make this natural violetish blue sapphire an excellent Jyotish gemstone to propitiate Saturn, or if you are not into Vedic astrology, sure to set very beautifully in any setting design. Gorgeous color, flawless in clarity, finest luster, unheated, Ceylon blue sapphire. Classic cornflower blue, well cut rectangular antique cushion with flower pavilion, unheated, Ceylon blue sapphire. This is a classic blue sapphire from the fabled island of Sri Lanka. Classic cornflower color, a most perfect antique cushion with flower cut pavilion, which delivers a very neat and exciting brilliance, as clean as it gets as well. 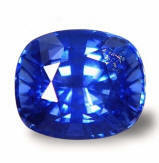 From our Ratnapura cutter, we bring the most amiable unheated sapphires with a great, true wholesale price tag attached. And we can set it in any way you like it in an one-of-a-kind bespoke jewel.